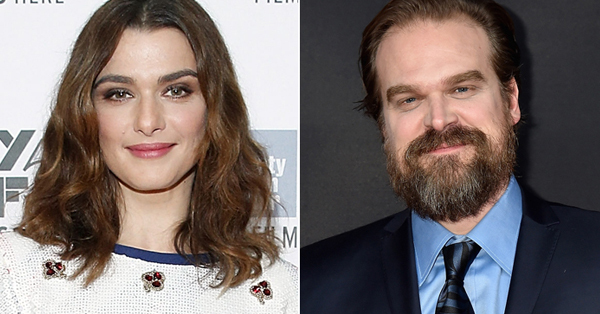 Ice Cube's Oliver Twist musical moves forward, Creed 2 secures Drago spawn, new roles for Mary Elizabeth Winstead, Rachel Weisz, Jessica Chastain, and Octavia Spencer. Today’s Ketchup brings you ten headlines from the world of film development news, covering titles such as Creed II, Indiana Jones 5, and remakes of Oliver Twist, The Sword in the Stone, and West Side Story. We are currently in between the releases of the two latest films from acclaimed director Steven Spielberg: The Post (his prestige film about the Pentagon Papers with Tom Hanks and Meryl Streep) and his adaptation of the popular science fiction novel Ready Player One (3/30/18). 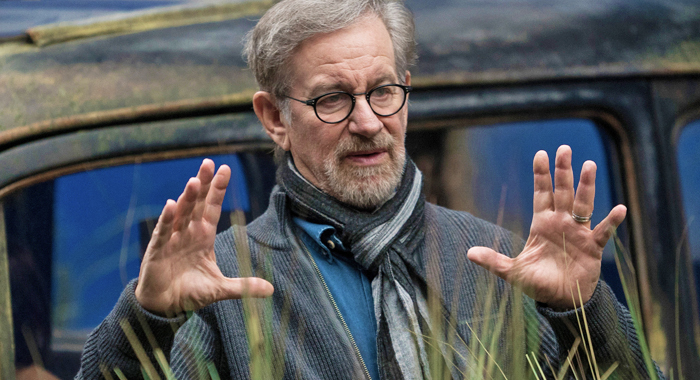 Throughout his career, Spielberg has frequently scheduled his films in pairs like that, and this week, we learned which projects will likely be his next two. Although he does have other options (like The Kidnapping of Edgardo Mortara, with Oscar Isaac), the two most likely movies are both huge and ambitious. First, Spielberg is reportedly ready to direct the fifth Indiana Jones, which has already been written by David Koepp (who also previously worked with Spielberg on Jurassic Park, War of the Worlds, and Indiana Jones and the Kingdom of the Crystal Skull), and which will presumably be Harrison Ford’s final film in the role (a la Star Wars: The Force Awakens). The other project that Spielberg might take on is a remake of the classic 1961 musical West Side Story. It’s unclear if the West Side Story remake will be a contemporary modernization or whether it will feature new and updated music or the same jazzy style of singing and dancing. If you follow film development news, you know that some films can take years and years to make it to the big screen. The action movie called Gemini Man, for example, has been in the works since the 1990s. Paramount Pictures is finally getting Gemini Man going, though, with Ang Lee (Crouching Tiger, Hidden Dragon) attached to direct and Will Smith starring as an aging hitman who finds out that the young assassin hired to take him out is… a younger clone of himself (presumably, motion capture will be used). This week, we found out who two of Smith’s co-stars will be, starting with the female lead (an operative ordered to watch the hitman). After an initial story that Tatiana Maslany (Orphan Black) was in the running, the role instead went to Mary Elizabeth Winstead (Scott Pilgrim vs the World, 10 Cloverfield Lane, FX’s Fargo). Clive Owen (The Bourne Identity) was also cast this week as the scientist in charge of the cloning program. 2. THIS IS US STANDOUT RON CEPHAS JONES CAST AS THE WIZARD IN SHAZAM! Fans of NBC’s This is Us may have their own favorite characters and performers, but one of the standouts has been Ron Cephas Jones, who plays the biological father of Sterling K. Brown’s Randall. At 61, Jones has had a long career of supporting roles, and This is Us just might be the show that helps launch him to another level. 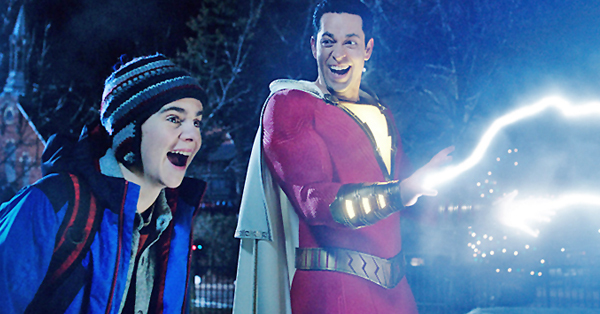 Jones is now in negotiations with New Line Cinema for their ambitious DC Comics project, Shazam!, to play The Wizard, the mysterious figure who endows young Billy Batson (Asher Angel) with the superpowers of Shazam (Zachary Levi). Mark Strong (Kingsman: The Golden Circle) also confirmed this week that he will be playing the evil “mad scientist” villain Dr. Sivana. Shazam! is currently scheduled for April 5th, 2019 (the week after Disney’s Dumbo remake). It’s been a while now since we learned that Ice Cube is producing (and will star as Fagin in) a new movie musical based on Charles Dickens’ Oliver Twist (with Hamilton director Thomas Kail). This week, we learned the project is still on, and it’s now set up at Walt Disney Pictures (which is releasing Mary Poppins Returns from one of the project’s non-Ice Cube producers). The studio has also now hired screenwriter Danny Strong to adapt Charles Dickens’ novel for this updated musical. Strong’s previous experience with adapting books includes HBO’s Game Change and The Hunger Games: Mockingjay (Parts 1 and 2), and he also co-created the hit TV series Empire along with Lee Daniels (for whom he also wrote Lee Daniels’ The Butler). It was just two weeks ago that the top story in The Weekly Ketchup involved Walt Disney Pictures possibly recruiting Ridley Scott to direct their new Merlin Saga franchise. The footnote to that story was that Disney was still actively developing a live action remake of their 1963 animated classic The Sword in the Stone, which also retells the Arthurian legends (including Merlin). The argument could be made that Scott’s reputation looms so large that the news overshadowed this other King Arthur project at Disney, which may be why we are now hearing about who’s been hired to direct it. Disney’s surprising choice is Spanish director Juan Carlos Fresnadillo (Intacto), who is probably best known for directing 28 Weeks Later, the sequel to Danny Boyle’s zombie movie 28 Days Later. Could Fresnadillo’s hiring actually suggest Disney wants a King Arthur horror movie? The one element that most people probably remember about Rocky IV is the rah-rah-rah Cold War juxposition of Russian boxer Ivan Drago (“I must break you“) against Sylvester Stallone’s red-white-and-blue-shorts-wearing American champion. The dramatic turn that actually led to their big fight, however, was the death of Apollo Creed in the ring against Ivan Drago (sorry for spoilers from 30+ years ago?). For this year’s Creed II (11/21/18), the sequel to the Rocky spinoff starring Michael B. Jordan, the story will focus on the decades-in-the-making ramifications of Apollo’s death. This time, Jordan’s Adonis Creed character will go up against Drago’s own son, and now we know who will be playing that new Russian boxer. Romanian boxer Florian Munteanu has been confirmed to play Ivan Drago’s son in the sequel, complete with lots of images online of exactly how scary that dude looks. Dolph Lundgren, Sylvester Stallone, and Thor: Ragnarok co-star Tessa Thompson will also all reprise their Rocky franchise roles. Indie films aren’t all just overly talky dramas anymore. One genre that has emerged more commonly over the last several years is science fiction, including films like Ex Machina, Monsters, Moon, Under the Skin, and Upstream Color. Croatian director Goran Dukic made his feature film debut in 2006 with the supernatural comedy Wristcutters: A Love Story (Fresh on the Tomatometer at 67%), and this week, we learned what Dukic has planned for his second feature film. Rachel Weisz (The Mummy Returns, The Lobster) is now signed to star in a “grounded sci fi movie” called Cloud One, which is expected to start filming in early 2018. Weisz’s films for 2018 will be The Mercy (with Colin Firth) and The Favourite (with Emma Stone). On June 17, 2013, Odin Lloyd, a semi-pro linebacker for the Boston Bandits American football team, was murdered in an industrial park in North Attenborough, Massachusetts. That location was also just one mile from the home of another football player, Aaron Hernandez, star tight end for the New England Patriots. Hernandez was subsequently arrested for Lloyd’s murder (and fired by the Patriots within 90 minutes) and convicted, and last year, Hernandez committed suicide in his prison cell at the age of 27. A new book called All-American Murder: The Rise and Fall of Aaron Hernandez, the Superstar Whose Life Ended on Murderers’ Row, won’t be published until next week, but a major Hollywood producer has already snapped up the rights to adapt it into a major motion picture. That producer is Mark Gordon, whose credits include Saving Private Ryan, The Day After Tomorrow, and Chris Pratt’s upcoming action movie Cowboy Ninja Viking. The upcoming book was co-written by best-selling author James Patterson, whose screen credits include the various “Alex Cross” movies and the CBS TV series Zoo. There are not really that many Thanksgiving movies, and now, one of the most popular has apparently inspired (yet another) Christmas movie. Steve Martin and the late John Candy co-starred in the 1987 holiday classic Planes, Trains and Automobiles as two businessmen stuck with each other during the pre-Thanksgiving travel congestion on their way to Chicago from New York City. Jessica Chastain and Octavia Spencer (who previously worked together on The Help) are now attached to reunite on an untitled comedy which promises to retell the story with a twist. The as-yet-untitled holiday comedy was picked up by Universal Pictures after a bidding war that also included Fox and Paramount. The screenplay will now be written by screenwriter Peter Chiarelli, who previously wrote 2009’s The Proposal (Rotten at 44%). The reason for changing the setting away from Thanksgiving is not yet known. Over the last few years, there have been so many DC Comics movies put into development (over 20, actually) that even stalwart fans would be excused for losing count. And as movies like Justice League have yielded disappointing results (critically or financially), it’s possible that even Warner Bros. is constantly in flux about which films will move forward (especially considering this recent news). As of right now, Aquaman is wrapped (12/21/18), Shazam! is filming (4/5/19), and the third film in line will be the Wonder Woman sequel (11/1/19), but what’s next after that? One candidate is Flashpoint, the project formerly known as The Flash, in which Justice League star Ezra Miller will get his solo movie (plus also allow for an in-story narrative reboot). We now know that Flashpoint will be directed by the team of John Francis Daley and Jonathan Goldstein, who made their directorial debuts on the 2013 reboot of National Lampoon’s Vacation (Rotten at 26%). As screenwriters, their other credits also include Horrible Bosses, Spider-Man: Homecoming, and The Incredible Burt Wonderstone (Rotten at 37%).